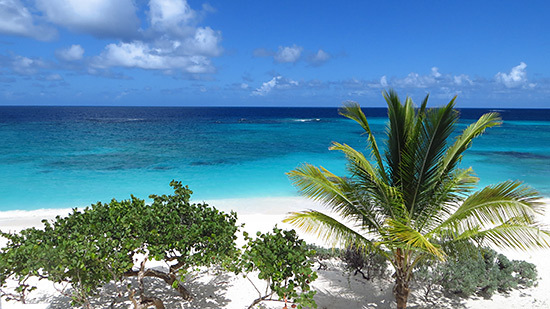 When you first touch foot on Anguilla and gaze around, your immediate impression is... "unassuming." No majestic volcanic mountains. No hustle, no bustle. Calm. Better than tranquil and more relaxed than laid back, Anguilla's vibe is "cool without trying." Your first drive reveals a fairly flat land of palms and scrub... "unassuming" again. So far, there's nothing to suggest that Anguilla could possibly be the best Caribbean island. Anguilla is genuine. No strips of electronic and jewelry duty-free stores. In fact, there is no big shopping at all in Anguilla. 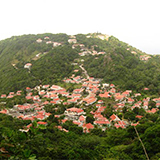 When you need to shop, a day trip to the French and Dutch Caribbean island of St. Martin / St. Maarten is in order. Not a single restaurant chain on the island either. And, many of the most perfect beaches are yours! This is not Beaches.com. 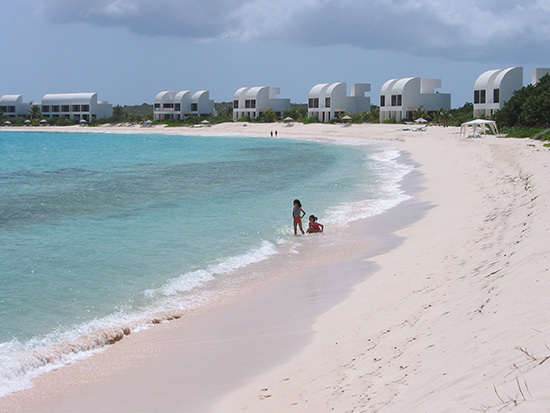 THE best beaches in the Caribbean, Anguilla's regularly top travel magazines' "top 10 lists." See video below for a peek at one of Anguilla's many white-sand beaches with sparkling-clear turquoise waters. 6-star, high-end cuisine, but you can also buy the best shrimp quesadilla from a food truck for a quick bite. the land of $20,000/night villas. Or scale as far down as you like, including a perfect little B&B for $99/night. 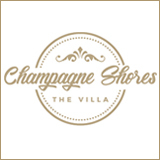 the most eclectic blend of beach bars and bistros. Order a $20 Manhattan or, virtually next door, a $1 beer. the friendliest "small town" in the world. Everyone leaves here with Anguillian friends-for-life. 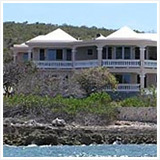 The Jet (And Yacht) Set, And "The Rest of Us"
Anguilla is widely perceived as ultra-high-end. More billionaires (and mere centi-millionaires) per square mile visit, mooring their 300' yachts, some with homes here, too. You'll find yourself sitting beside a Hollywood star sooner or later, and you may not even notice. 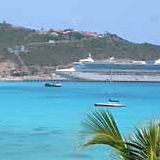 Celebrities may go to other Caribbean islands to be seen, but they come to Anguilla to disappear. 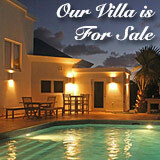 Despite attracting the jet set, Anguilla is also very affordable. 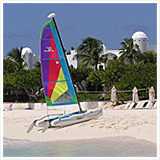 As you would expect, there's no such thing as "Anguilla all inclusives." But use this site to design a better, cheaper vacation than you'd have ever thought possible. Anguilla is, quite simply, "laissez faire." No posing, no preening, no paparazzi (well, almost!). Everyone just does their thing. No one cares if the person sitting at the next table is Robert deNiro or Bob from New Jersey. The Anguilla-bound head here to just get away. 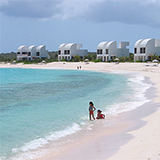 Anguilla is woven from the perfect threads of weather, food, beaches and people. Before we jump into that, let's locate ourselves. 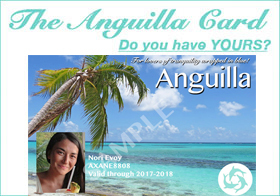 Where is Anguilla? People ask this a lot. "Are you sure you don't mean Angola? Antigua, maybe?" We were once asking that, too! More on where Anguilla is. No crowds, gigantic cruise ships or jumbo jets. You can get beaches all to yourself. Whether on the beach, dining out, or having a sunset drink, there is a special sense of being blissfully at ease. No rushing, no swarms, you feel totally relaxed. I'm not the only one who feels this way. 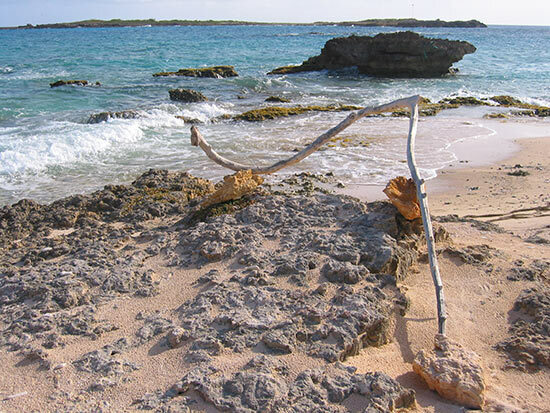 Many who visit and plant roots in Anguilla do so for its air of calm. Years ago, "Anguilla is the best Caribbean island," French painter Henri told me. He lives in Anguilla now. Originally from Guadalupe, he said it was too "fast-paced" so he moved here to slow down. See what I mean? :-) Anguilla has a particularly soothing effect that's founds in few other places. Contributing to this laid back feel is the level of safety. Anguilla is safe, no matter where you are. But don't push it. If you leave $2,000 cash, your Rolex and passport in your rented car for a day at the beach, they may not be there as the sun sets. 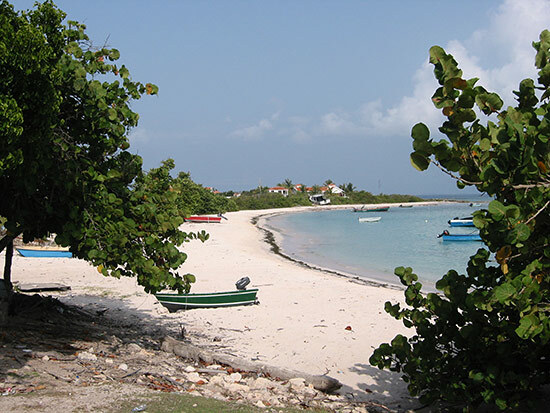 33 beaches, each one spectacular in its own way and each one remains unrivaled by any beach on any other Caribbean island. 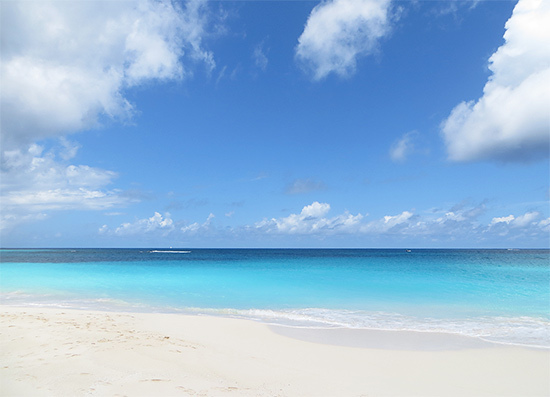 Anguilla beaches are like no other, with the softest, finest sand, and clearest, azure waters. 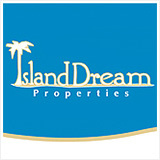 They range from the super-serene Little Bay to the always-wild Windward Bay, from the popular Shoal Bay East (voted by many authorities as "best beach in all the Caribbean islands") to many others that you'll have to yourself... even in January! Some of Anguilla's beaches even play on the world stage. The likes of Shoal Bay East, Rendezvous Bay and Meads Bay are on the same level as breathtaking beaches in Africa and Western Australia. I even met a woman who came to Anguilla all the way from "Down Under" simply because the beaches rivaled Western Australia's, and are far calmer and without Great White Sharks! Known for having both spectacular big beaches and beautiful hidden coves, Anguilla's beaches have long been named best in the Caribbean by the likes of CNTraveler and ISLANDS Magazine. 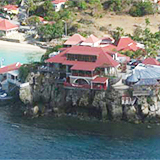 From Meads Bay and Shoal Bay to the likes of Little Bay and Maunday's, we have compiled a list of voted-for favorites to find out which one is #1. 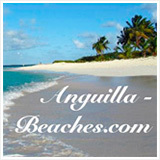 For Anguilla's #1, and perhaps the best Caribbean beach too, click here. 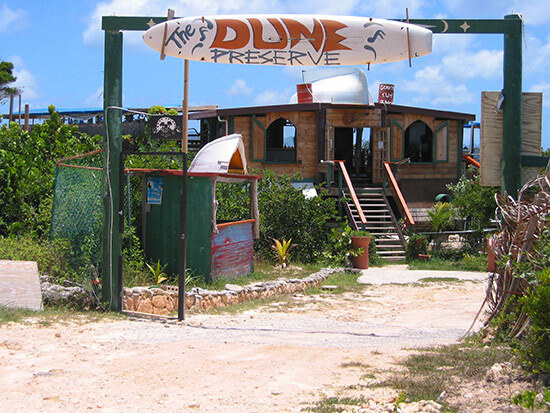 The photo above is of The Dune Preserve, a funky beach bar owned by the famous Anguillian reggae artist, Bankie Banx. It has been rated #1 beach bar in the world by CNN, and it's not hard to see why. Constructed of pieces of wood and other sea treasures, it has a funky feel. 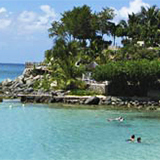 Top that off with a sandy beach setting, a view of St. Martin, and Bankie as your host, and you get one unique beach bar that is "just cool." The Dune is also the setting for Bankie Banx's Moonsplash Music Festival. Moonsplash is one of Anguilla's most highly anticipated events. Under a full moon, on Rendezvous Bay, people come from far and wide just to experience this reggae festival where even John Mayer and Bob Dylan have made impromptu performances. More on Anguilla beach bars. Many of Anguilla's sandy beach bars serve up tasty BBQ ribs, chicken, fresh crayfish and cool rum punches. An afternoon of good eats and drinks, sun, sand and surf is our #1 favorite way to spend a lazy day. Rum punches are the cocktail of choice in Anguilla. From C.J. Planter, to Pyrat, Anguilla has mystical and magical history with rum. More on Anguilla rums. If you are looking for more than BBQ chicken and ribs, Anguilla has divine "haute cuisine," too. Prepared with careful attention to detail and specially flown in ingredients in some cases, high-end restaurants in Anguilla please even the most discriminating palates. From French cuisine, to Italian seaside dining Anguilla really has it all. 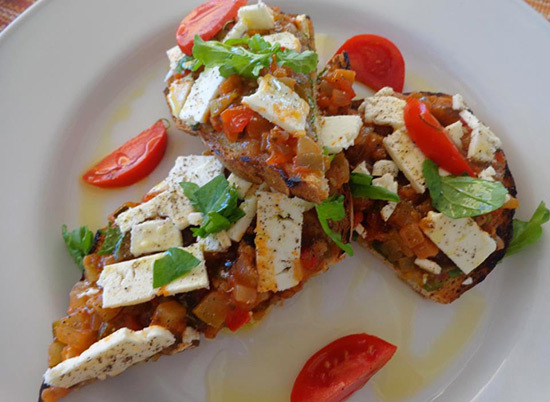 One of our favorite types of cuisine enjoyed in Anguilla is, naturally, the Caribbean dining. There are several high-end and affordbale restaurants that serve the most delicious dishes inspired by local flavor. More on Caribbean dining. Beyond the food, high-end restaurants have supreme locations. Generally, they are right on the sea. 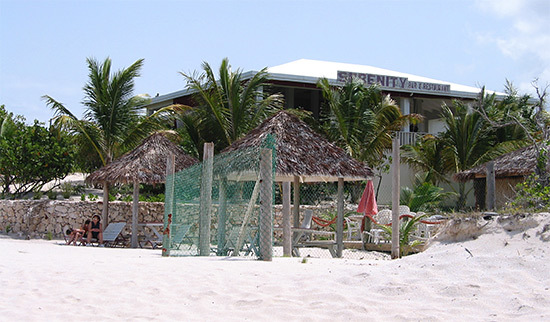 More on Anguilla beach restaurants here. With tradewinds blowing through and the sound of lapping waves in the distance, is there a better way to enjoy a mouthwatering meal? With a resilient and strong history, people here are warm, their smiles genuine. Anguillians are always willing to help if you need a hand, and not because they expect anything in return. They do so of the goodness of their hearts. 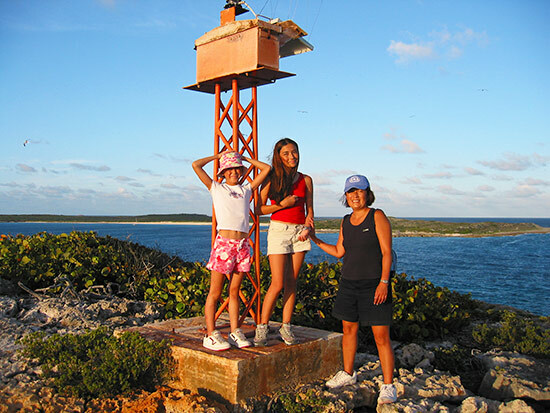 True, life-long friendships form between Anguillians and visitors. Even long after vacations end and visitors return to the States, Canada or the UK, there are many stories of people inviting Anguillian friends up north, wanting to play host to them in their home. Anguilla is flat. 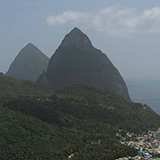 There are no mountains, like on many Caribbean islands. As a result, there are few clouds, very little rain and plenty of sunshine. Even if a day starts as overcast, by mid-afternoon the sun shines strong. Because we don't have mountains, our clouds move fast. That means more endless sunny vacation days! We've never had a single rained-in holiday in Anguilla. If you like beach parties, the August Monday beach party is for you! Anguilla's Carnival is known Caribbean-wide. 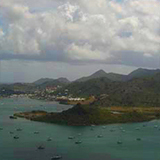 Starting at the end of July and lasting 'til the beginning of August, this sleepy island comes alive during Carnival. Everything from businesses to post offices shut down for nearly two weeks. This holiday is even bigger than Christmas! The peak of Carnival is August Monday. 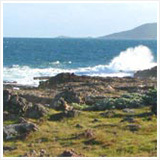 It is celebrated with a 'round-the-island boat race and a blow-out beach party down on Sandy Ground. Pulling in people from around the Caribbean, foreign boats fill the harbor, the bikini-clad walk the beach, soca music blares and BBQs smoke. It is worth traveling to Anguilla in August just to be part of the scene. "Little things" can easily go unnoticed, but it is the "little things" that you usually remember and reminisce over fondly. That is espeically true for Anguilla. Tiny yet memorable Anguilla vacation symbols are everywhere. From the herds of goats, to the charming churches, to the weekend BBQs, to the colorful Caribbean cottages, there are so many more little things that make Anguilla truly unique. Anguilla gets an A+ in all the important subjects that make an island "the best of all Caribbean islands," and wins for all of the charming details, too. 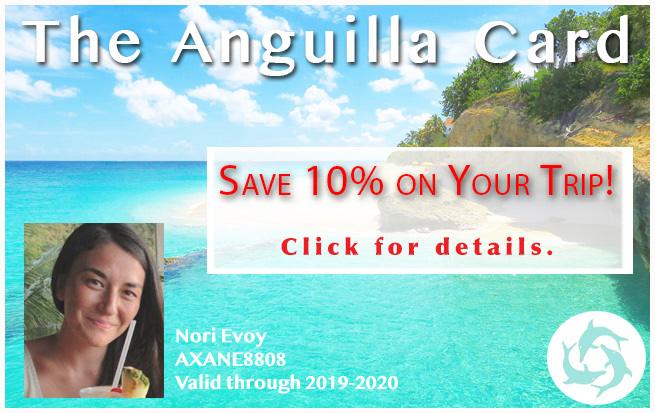 ... no doubt about it, you will find that Anguilla is the most spectacular, tasty, and friendly of all the Caribbean islands! All of this adds up to make Anguilla our family's #1 island. 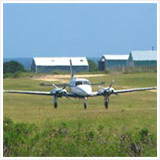 For tips on learning about Anguilla, click here.